God looked down upon the lands of Australia and saw that things were not well with the Land and its People and something had to be done. God looked more closely and saw a Mob of good people who each had stories to tell, but they were scattered across the Land, so they were brought together. People from the coastal area of Queensland, from the lands of the Snowy Mountains, from across the waters to New Zealand, and from the red sands of the interiors, and they came from the southern coastal areas and the plains of the hills. They were black and white, students and teachers, young and old, male and female but they had all come to learn and experience the ways of the land. They also learnt that the past could not be changed but the present and future is where change can take place. God saw this and called upon the Creator to gather these people, and with one big hand the Creator picked up these people and moulded them into a tall strong tree that produced beautiful brightly coloured flowers and a sweet tasting fruit that attracts the birds and animals of the area. Ecclesiology mixed with eschatology! Rich indeed. Stanley Skreslet’s Comprehending Mission: The Questions, Methods, Themes, Problems, and Prospects of Missiology is a wonderful gift. It provides an overview of recent trends in missiology, allowing a person and an institution to locate their questions, their research, their reading in light of other thinkers. Chapter one, on the who and why of the study of mission, is here. 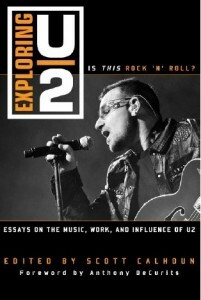 Chapter two, on trends in the Bible in regard to mission, is here. Chapter three part a looked at mission history, the evolution through time, the shifting resources that shaped how the church understood itself. 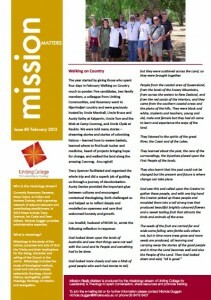 Chapter three part b, on the history of mission today is here. The chapter begins with theology, in particular current research on salvation and ecclesiology. This includes the shift to see mission as an aspect of God rather than as a function of the church. It also includes the recent search for a more developed pneumatology, the place of the Spirit of God. A second section explores the growing importance of social sciences (again this makes sense of my methods, using ethnography and interviews, plus my interest in the ecclesiology and ethnography project). Mission played an active role in the development of ethnography and anthropology. The 1910 World Missionary Conference pleaded that sociology be included as one of five necessary subjects for all candidates in mission training. (It certainly is at Uniting College, where we teach Reading cultures/Sociology for ministry, as a core introductory topic). 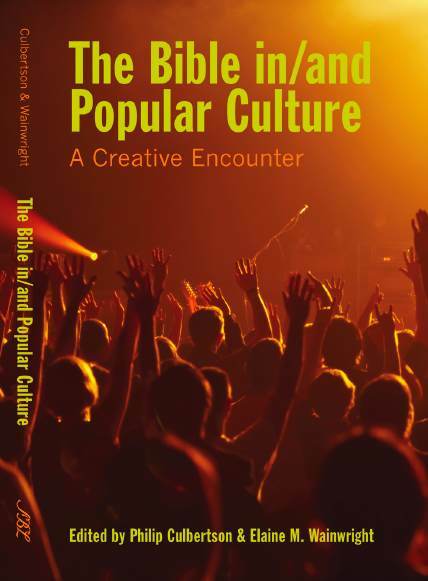 A third section explores gospel and culture, the quite deliberate participation in both arenas at the same time. “The doctrine of the incarnation has also been taken as an invitation to think deeply about human culture as the particular sphere within which Christian outreach necessarily takes place.” (86) There is a rich coverage of the development of research in contextualisation and intercultural theology. However, in recent years, writings from Timothy Gorringe Furthering Humanity: A Theology of Culture , Max Stackhouse Apologia: Contextualization, Globalization, and Mission in Theological Education and Kevin Vanhoozer To Stake a Claim: Mission and the Western Crisis of Knowledge , have drawn on missiological research. I hugged a Celtic cross a few weeks. 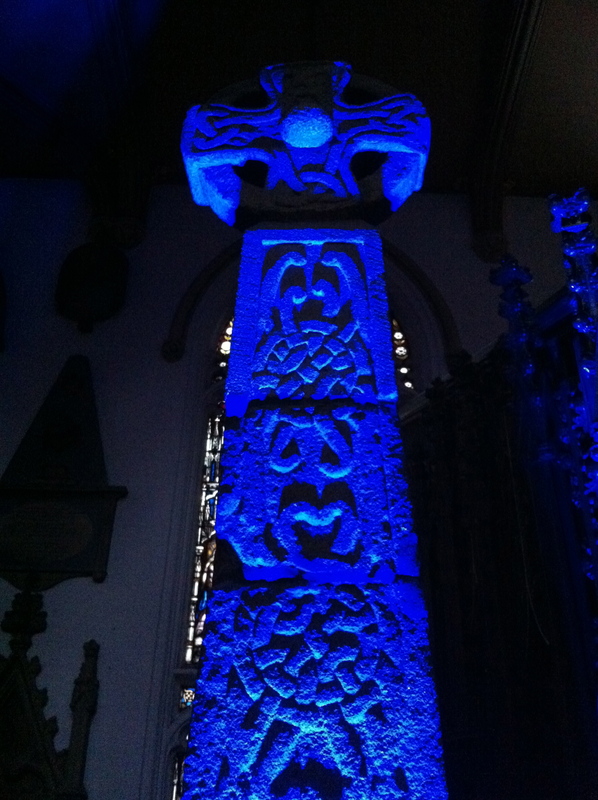 Visiting Leeds, driving through snow, parking outside Leeds Minister, I stepped inside to find this ancient Celtic cross, placed in the middle of the sanctuary. 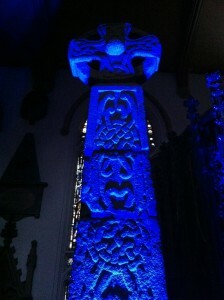 It was found in the city walls and is now placed in the church. Gorgeous isn’t it. On the way out I couldn’t resist any longer and gave the cross a big hug. I’m a bit of a tree hugger, and find enormous strength from giving a tree a great big hug. But I’ve never hugged a cross before. Which seems a strange thing for a Christian to say doesn’t it! Here the cross has been especially lit, as part of the worship that Sue Wallace offers at Leeds Minister. Sue is part of a group that offers alternative worship experiences that mix ancient and modern. In a worship service like Transcendence, they take very traditional words (Common Worship Order 1), use robes, offer incense and chant latin, yet mixed with ambient dance backgrounds, projected moving digital images and prayer stations around the building. It’s a wonderful mix of ancient and future. I interviewed Sue as the snow fell. We talked about her journey in ministry, her learnings over the years, what made Visions one of the longest lasting and creative alternative worship groups in the UK, her understanding of liturgy and how mission is experienced as spiritual seekers connect with art, music and history. It was a rich conversation that jumped out of so many of the boxes and stereotypes of fresh expressions and missional church. It is a conversation I’m looking forward to transcribing and analysing this week. And then, once transcribed, placing it alongside the insightful ethnographic study of Visions by Matthew Guest, Evangelical Identity and Contemporary Culture: A Congregational Study in Innovation (Studies in Evangelical History and Thought) . Gender matters. As I began to process my emerging church 10 years on data, I began to realise that gender matters – that in communities in which women led, women are more likely to grow; that in some denominations, most of the money invested in paid pioneers is invested in men; that some of the more interesting research I came across were into fresh expressions that were run by lay women. So my sabbatical reading took a detour, into women’s faith development. was my data odd or does gender matter in faith development? What do Lo-ruhamah in Hosea 1, Namaan’s wife’s slave girl in 2 Kings 5, the slave girl in Philippi in Acts 16, Jarius daughter in the Gospels have in common? It is a theme that reemerges loud and clear in Maggi Dawn’s, Like the Wildeness of the Sea . Introduced as a book about women and bishops and the Church of England, it’s actually much more. 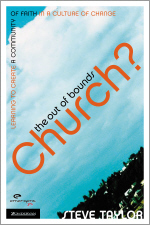 It’s a book about the ability, or otherwise, of the church to be a flourishing place for gifted people. And then this quote, which makes obvious that this is not only about ordination, but also about workplace cultures and habits. what I would love my colleagues in the Church of England to know is this: I achieve twice as much in a working week as I did before. Why? Simply for this reason: none of my mental energy is wasted justifying my existence, surviving bullies, fending off harassment, or anticipating sexist behaviour. I don’t have to think about whether I should speak more loudly or more softly to gain permission to be heard. I don’t have to worry about whether my clothes will be thought too feminist or too feminine, or second-guess myself all the time to work out how to gain the space and the permission to do the job I’m appointed to. I just wake up every day feeling good, go to work full of energy, work hard all day, and come home, most days of the week, still smiling. Like the Wildeness of the Sea , by Maggi Dawn, Dean at Yale University, is a sobering reflection on gender and the church, more specifically, on being a female leader in the Church of England. It is divided into three sections. First, it surveys developments in the Church of England in relation to the ordination of women. It seems logically inconsistent that a church can appoint a person to lead as a priest, yet make ineligible to lead as a bishop. In seeking to find a way beyond the current impasse, Maggi points out that within the polity of the Church of England is “the process of reception” in which, when unity cannot be found, a decision can be made, as a nonbinding experiment, as a way of testing the consequences. She draws in the narrative of Gamaliel in Acts (although it also sounds like the Ignatian discernment process applied corporately, in which a group makes a decision and explores it prayerfully before actioning). At this point I would have liked more of a history of times in the Church of England when this has been applied and the consequences. I would have liked some reflection on the guiding principles with regard to application. Is it applied in any situation of disagreement, or only in unique circumstances? To put the question hermeneutically, is the approach of Gamaliel in Acts descriptive or prescriptive? Second, she outlines a theology of waiting, as a spiritual discipline embedded in the life and liturgy of the church. She argues persuasively that waiting includes times when God waits for us to act. She mounts a cultural critique of English ‘niceness’ and the damage done when truth and justice are smothered in platitudes. In other words, at times waiting is the most sinful response to a situation of injustice. Third, it tells a story, of being a woman in ministry. It is a story Maggi Dawn is eminently suited to write, being one of the first woman priests to train in the Church of England. It is harrowing to read, a story of a church that has found ways to behave badly, in deeply sexist patterns, and the damage this has, and is, causing. It made me ashamed to be a male and should mean some corporate Anglican work at Colleges and denominationally on safe workplace environments. One result is the loss of enormously gifted people from the church and the reduction of the full flourishing, both of individuals and churches. The body of Christ is being harmed. It is wonderfully written, concise and cohesive. It moves smoothly between theology, literature, spirituality and experience. The title is a case in point, elegantly referencing the books key interpretive metaphor, the struggles in the Church of England, place in Maggi’s sense of call and her current location. It is very classy writing. In one sense the audience is very limited – English Anglicans. Yet in the particularity of the narrative is an example and a warning that makes it worthwhile reading for anyone. A warning of the damage that happens when a part of the body is not honoured. This could be an angry book and that would be reasonable. Yet there is compassion for those who have caused damage, a passion for a broadly diverse church, a theological depth and rigour and a clear prophetic call to action. (Surely qualities needed for a bishop in the Church of England today). Hence it also becomes an example of how to write, how to speak for justice and write for truth. In that regard, I will be adding it to student reading lists in the area of ministry and giving it to male ministers. Finally, it is an intriguing example of swift and contemporary theological reflection, with the book published some three months after the 2012 synod decision. Fast work, quality work, Maggi and Dalton, Longman, Todd. The last few days have been a delightful change of gear after an intense sabbatical period. Shannon arrived back from Germany on Friday and we’ve had a wonderful time catching up and being tourist. London called over the weekend – Natural History Museum, Science Museum, Harrods, Globe Theatre, Sung Eucharist at St Pauls, British Library, Sherlock Holmes Museum. Monday included the Bate Music Museum, playing the oldest known English oboe and farewell cups of tea with folk who’ve helped make our time so much richer relationally. Personally, spiritually I’ve had a wonderful break. I’ve been blessed by some wonderful art in Europe, London and Glasgow (read back through the blog over the last few months). I woke up in Paris and realised I’d forgotten I was a Principal. A good thing! I’ve enjoyed compline prayer at Ripon College, although still can’t get my head around the practice of plain song when only a handful of folk are present. When I get back, I enter my last phase of sabbatical – 6 weeks of intensive writing. It’s time to complete something!! I feel like I’m well positioned to do that. I’ve incubated, researched, data analysed and read enough that I’ve now got two books inside me and it’s time for the waters to break! I shed tears at St Paul’s on Sunday. It was the 11:30 am Sung Eucharist. I don’t normally cry but as I stood in the line, waiting for that small white round disc to be pressed into my hands, I felt this surge of emotion. I’m still trying to work out why. It’s not that tears need a reason. They’re a feeling that can just be felt. But our feelings are often a way of knowing more clearly who we are, so I’ve been pondering the tears that rolled down my cheek. I think it was the sheer, outrageous gift that I found myself part of. St Paul’s is a tribute to excess – the ornate ceilings, the expanse that must cost a fortune to heat, the staff that cope with thousands of tourists. All of this is sheer economic loss, an enormous burden for church and nation. Yet it was all free. Which is not a common experience being a tourist in London. And done with such grace and ease. The church had supplied more ministers around the communion table than I had fingers to receive that dry little wafer. The invitation was for any and all, with faith and no faith, to participate as much or as little as comfortable. All around me were strangers, some fumbling orders of service, others wondering when to bow and bob. All relaxing into the ease of grace. All without any dilution of the Christian narrative. Grace – free gift – in the shape of confession, Scripture, sermon, creed, communion. A sheer outrageous gift, which made perfect sense of that little white disc that was about to be pressed into my hand. I think that’s why the tears rolled down by cheeks at St Paul’s on Sunday. I’ve really enjoyed Colin Toibin’s, The Testament of Mary . It’s an imaginative exploration of Mary, with a strong emphasis on a mother’s bewilderment as her son seems to go willing to his death. It’s by no means “orthodox” in theology, but it raises plenty of good questions about the motives of those around Jesus, including the disciples. It certainly makes sense of the fear and helplessness that would be have been faced by a country ruled by an invading army (the Romans) and thus the profound political disturbance that was part of the mission of Jesus. It’s a small book, easily read in an afternoon. It’s a literary book and Toibin is a beautiful writer, with a deft insight into the darkness of being human and the pain of loss. It’s no easy feat for a writer to cross genders, and to carry off a book about a figure as important to human history as Mary is ambitious. While I don’t agree with all the theology, it’s a book that I’d want to read in the weeks leading up to Easter, as it strips bare the pain and politics of the road to Gethsemane. 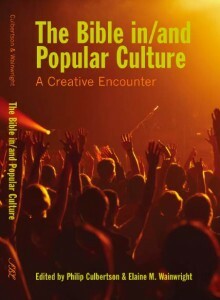 It thus stands as a creative resource for Easter Friday preachers and worship leaders. 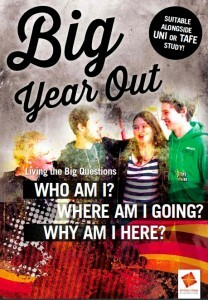 The Big Year Out is a 2-day a week program of discipleship & study suitable alongside Uni, TAFE or part-time work. 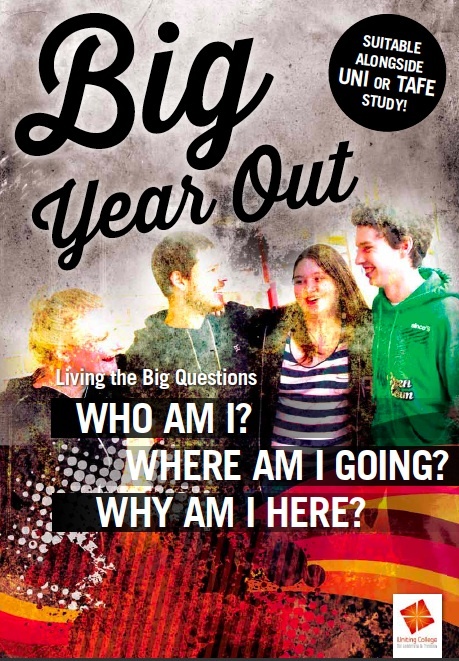 We believe that the discipleship of young adults is a profoundly important and unique activity, and have been brewing a new unique discipleship journey for young adults during Uni or TAFE study, rather than only being a gap year experience. You can read more by downloading the brochure here. Obviously this seems a late stage of the year to be launching a new program, but we are convicted about the importance and need of this experience, and thrilled at the unique, integrated opportunity it offers. There is an info evening – Thursday 21 February, 7:30pm, CitySoul, 13 Hutt St, Adelaide. Today marks the last interview of the UK alt.worship research phase. It will be interview number 20. The interviews can be grouped in three categories. Innovation in groups (alt.worship groups ten years on). The selection is not random but simply based on groups that I interviewed back in 2001 as part of my PhD research. 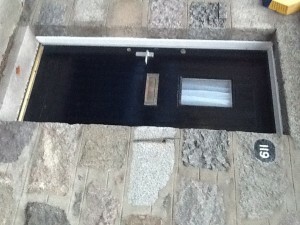 They thus provide a window into sustainability. Innovation in denominations as Fresh Expressions. During the ten years, a key change in the UK landscape has been the advent of Fresh Expressions. It has introduced new words, including pioneer, mixed economy, Bishops Mission Orders. 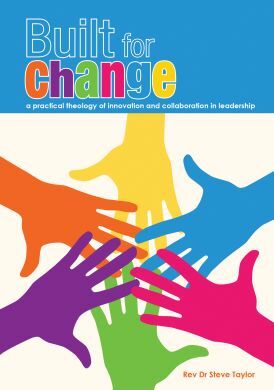 These interviews analyse the environment in which the innovation occurred and explore the leadership practices and insights that lay behind the change. Innovation in training. Intrinsic to the formation of new communities is leadership. These interviews analyse the changes that have, and have not occurred, in recognised training systems, in light of the Fresh Expressions initiative. Together, these interviews provide a variety of perspectives on mission, leadership and change in the church in the United Kingdom. In cafes, Colleges and churches, bishops courts and Master lodges, I have been gifted some wonderful honesty and insight. I’m still pondering a frame by which to analyse the data. My instinct is to turn to mission, and especially mission history. This could involve placing Fresh Expressions alongside other mission initiatives in history. 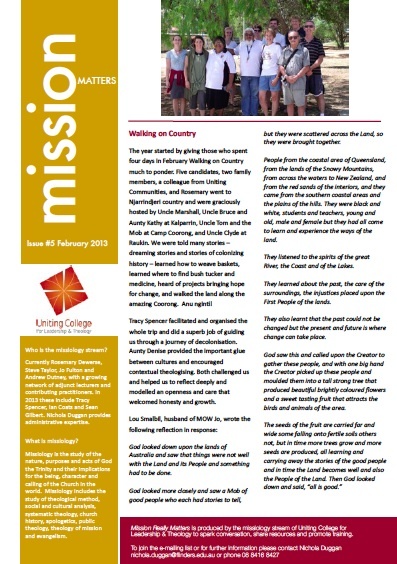 Three possibilities spring to mind – the Celtic mission from Ireland to England; the modern mission movement through the voluntary organisations that began with William Carey and the birth of Methodist, which served as a renewal movement in denominational structures. On Sunday, on the way from Oxford to Gatwick to Aberdeen, I took some time to enjoy the British Museum, including Room 95, Chinese Ceramics. An entire room, shelf after shelf, wall after wall, of Chinese pottery. An extraordinary range of colours and shapes, tracing changes in style over the centuries. Chinese ceramics are the most advanced in the world and a recurring word was innovation, the ability to keep refining, adapting, improvising over time. Perhaps the two go hand in hand. Can you have innovation and creativity without fragility? 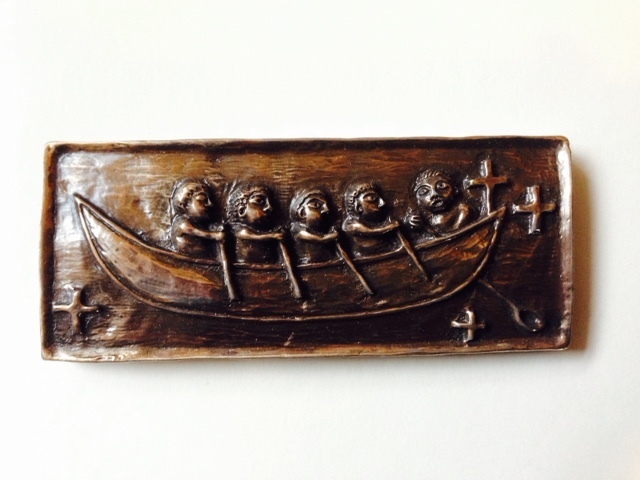 How does it change things if we see our fresh expressions and pioneer leaders as ceramic? Creative and fragile. And the irony, that at some point creativity needs to be set – fired, painted, presented. You can’t keep deconstructing, playing. Both pottery wheel and kiln are places of creativity. At some point you need to stop. Interesting. This was home 11 and a half years ago. For three months we lived here. Being in Aberdeen today brought back lots of really, really good memories. I was working on my Phd, we were planting Graceway in Auckland, the kids had not yet started school. From here we welcomed our parents, we visited Ireland, we explored Aberdeen and parts of the UK, we visited lots of UK alt.worship groups. Our youngest learnt to walk in this three month period. The Kiwi dollar was at an all time low against the pound and we ate lots of 9 pence tins of tomatoes from Lidl supermarket. It’s a strange, yet rich blessing, to revisit a place that was home on the other side of a world. I’m flying up to Aberdeen today. It will be nice to be back, after being based there for three months in 2001, in my last UK sabbatical, working on my PhD. It’s only a flying visit. I am presenting at a Research seminar on Practical Theology on Monday. I will use the opportunity to explore some of an initial chapter I am writing, introducing practical theology, linking it with ecclesiology and ethnography and outlining how I proceed in my study of emerging churches. I sort of like the mix involved when last week I am leading worship with pioneer leaders and with the mission shaped ministry board, and this week presenting at post-graduate seminars. Last time I presented in Aberdeen (2003) the result was a journal article – “Doing practical research downunder: a methodological reflection on recent trends in Aberdonian practical theology,” Contact 142, 1 (2003): 2-21. I doubt that will happen again, but who knows. I said yes because presenting ideas to post-graduate students is a great way to test them. In this case I want to try out a few ideas, including the Mary and Elizabeth story in Luke 1 as a way to appreciate the doing of practical theology, in particular as a study of embodiment. This includes two art works – The Visitation by Rogier Van Der Weyden and The Visitation Icon. I also want to outline the place of anecdote and story in constructing our ecclesiologies and get some feedback. I tend to find that talking my ideas out, both in presentation and during question and answer, is a very helpful experience – part of my aural learning preference! Plus catching up with John Swinton and doing an interview with Paul Thomson, who pioneered the Club Culture Project in Edinburgh back in the day! This week I led worship with Jonny Baker’s Pioneers at CMS on Tuesday, then at the mission shaped ministry board meeting on Wednesday. Both involved pocket lamp worship. I wanted to use what was around me, and the pocket lamp was a Christmas gift and being in the Northern Hemisphere winter, connected with all the dark/light experiences I was processing. 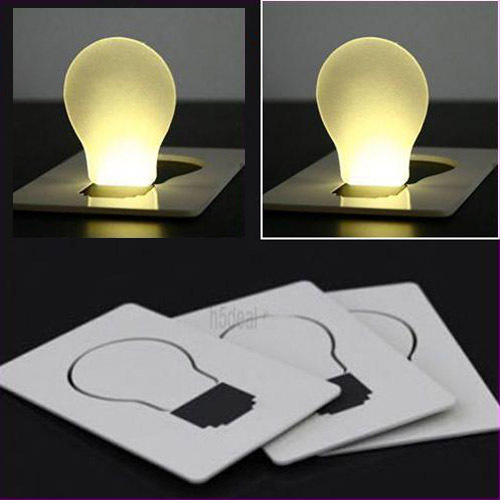 The pocket lamp opens and shuts. So it allowed a range of tactile, participative interaction. Here is what I did. Call to worship – the making of Ovo, at the Amsterdam Light Festival (I’ve blogged about that here). Praise – Light from God is a gift. So the invitation to take a light, turn it on, and give it to another person. So we can only be given light. Be thankful for gift. Confession – We all at times turn off the light we’ve been given. So as an act of confession, close your light and recall, silently, the times you’ve turned off the light. Word – The lectionary text was Isaiah 6:1-8. It of course, has words of absolution. And words of mission. Petition – So before we are sent, if you’re anything like me, you feel inadequate. So, exchange the light with the person beside you. Hold, and be held, in silent prayer for each other. Intercession – I had placed newspaper around the roome. People were invited to place their light on an area of the world they wanted to pray for. But before that, a reminder of being sent, as the kiss of God into dark places. It seemed to work well both places. Didn’t take long to put together, which suited my sabbatical writing commitments fine. It took about 15 to 20 minutes, and with more time it would have been helpful for folk to unpack the connections they made between text, actions and pocket lamp. I like it when worship emerges from the ordinary and everyday. (This is another entry in dictionary of everyday spirituality, under the heading L is for Lamps – pocket lamps).